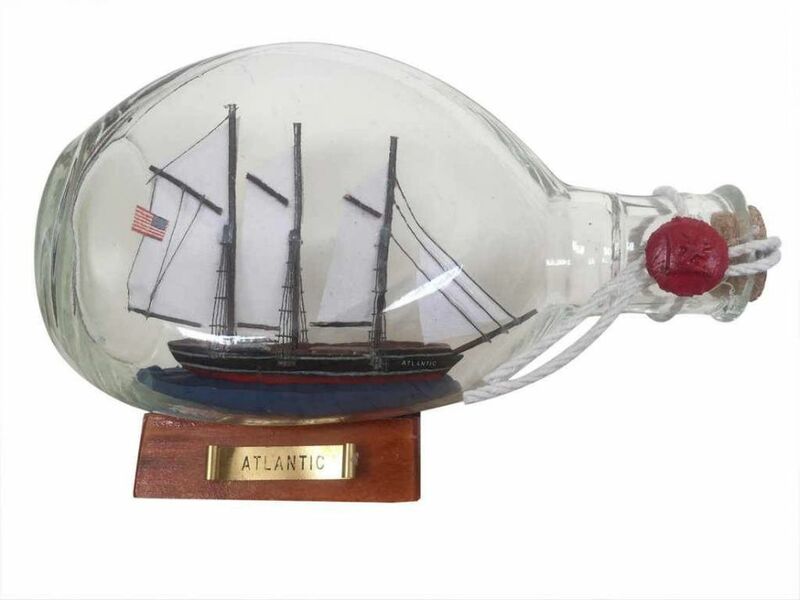 Atlantic Sailboat in a Glass Bottle 7"
Known for her speed and elegance, the legend of the Atlantic comes home with this model. Enchantingly bottled, a nautical legacy of its own right, this sleek yacht is a dashing representation and excellently crafted reminder of a sea faring champion. 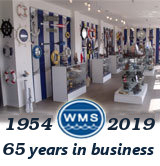 Arrives fully assembled with all sails mounted - THIS IS NOT A SHIP IN A BOTTLE KIT! Metal nameplate on wooden base identifies the ship as "Atlantic"